How safe do you feel in your own home? Home is supposed to be your sanctuary where you have peace of mind and cannot wait to get back to at the end of the day. But for your home to feel safe and secure everyone needs that security system that is both dependable & cost effective. If you are a hands on do it yourself person who loves to play around with tech, then this PiSector’s GS08-L 4G Cellular GSM Wireless Security System is just what you have been waiting for. Just with your cell phone your home is safe and secure. How great is this system? This system allows you to set it up all by yourself without getting a professional company or DIY handyman in to do it. It is always tricky having a stranger in your home setting up a security system that is supposed to keep intruders out because often times intruders are the people who work in security companies (or get info off them) and know just how to disable the system and the layout of your home. This system gives you peace of mind right from the set up. It comes pre-programmed which means all you have to do is plug in and you are good to go. Do it yourself does not only end after installation, PiSector also offer you the ability to self-monitor. With the 4G system it is easy to monitor your home security from where ever you go. After purchasing the system you no longer have to incur the added cost of paying a security company to monitor your alarm. 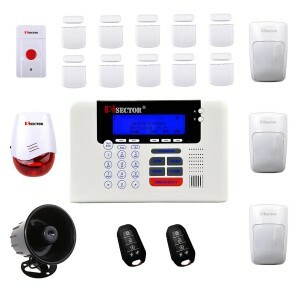 If there is an intruder the alarm system will send an alert to up to six different numbers that you would have programmed into the system and gives you the option to act from there. This system is so broad; it will also detect and alert you in cases of flooding, fire, power outages and send out silent alarms in cases where one is in distress. It also comes with a back-up battery. In a development that has neighborhood watch, this system has loud sirens that when they go off all the neighbors will know that something is wrong and this is a good way to deter intruders. It comes with a chime function that alerts you when someone has entered the house or opened a window, this feature is very handy when your naughty adventurous toddler decides to go wondering. That annoying system that would be triggered by a small pet is finally a thing of the past because this system is microprocessor controlled and can detect how big something is before alerting danger. With about 50 wireless zones that can be set up, the system allows you to name each sensor with over 28 characters and for those who are forgetful, they can name each sensor after their favorite celebrity. That should come in handy and can easily be changed when it suits the owner. It is easy to arm and disarm the system by just putting in the passcode which can also be changed easily. If you have noticed, this system is wireless. This means all you need is double sided tape, however; it is wise to buy some 3M double sided tape as opposed to the tape that is included in the package because it is not strong enough and sensors will end up falling and triggering falls alarms. Nevertheless; no wires are needed, so installation is quick, easy and neat. There will be no one being rushed to the emergency room after having drilled holes into their thumbs. This Pisector 4G security system doesn’t require special skills to set it up, however; it does help if the installer has an interest in technology and is familiar with the concept of 4G, wireless and setting up passcodes otherwise they will look at the instruction manual and may just feel the instructions were written by aliens. 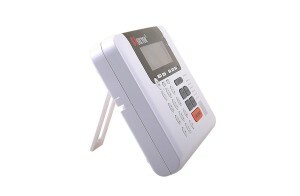 This system can also be used for business premises as it can send out silent alerts when there are intruders. Anyone with a landline, a mobile phone or VOIP can easily connect their system and from anywhere to monitor their homes or businesses. It however needs people who are vigilant and patient enough to monitor their own system, otherwise it is best to pay the extra cost for someone else to monitor the system. Well we all know that nothing is a 100% perfect but from the customer reviews, most people who have used this system seem to love it. They love how it is easy to install and makes them feel useful and techy because of it being pre-programmed and wireless. The self-monitoring works for a lot of people because it gives people a faster response as opposed to waiting for the security company to act. Allowing the owner to name each sensor helps those forgetful people and is easy to edit when you feel people are now too familiar with the system. You may fail to completely understand the instruction guide which maybe needs to be made user friendly for everyone both techy and not so much. On Amazon reviews some people have complained about a few sensors not working properly and having to send them back. The one problem that many seem to agree on is not to use the double sided tape that comes in the package because it is just not strong enough and within two weeks you will be picking up the sensors from the floor or having unnecessary alarm triggers. It would appear however; that the pros outweigh the cons and if you find a defective part, it is best to send it back and get a replacement before you give up on the system completely. The system ticks more positive boxes opposed to negative. It is rated a very good buy and definitely the way of the future. It supports the faster Quad-band cell phone protocol 4G. It is easy, quick and neat to install without having to invite a stranger you cannot trust to set up the system. 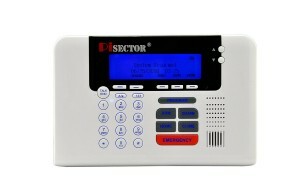 Its features are ideal for home protection as well as child protection letting you know when they open a door or window. This security system gives you the home owner peace of mind, knowing you are in control of your own safety. With very few rare complaints about faulty sensors this system is a winner. Give it a try today.